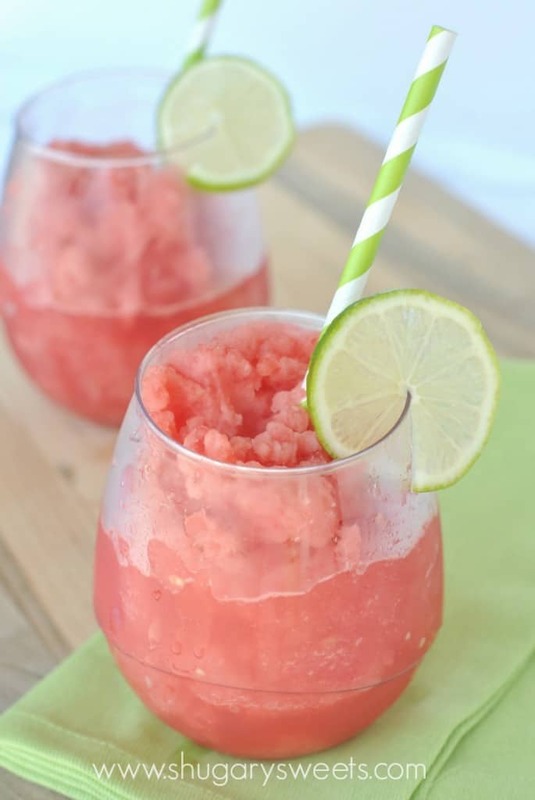 A quick, refreshing slush made using frozen watermelon, lime juice, and water! Sometimes summer just needs to slow down. I hate when we are so busy that the days just blur into each other! 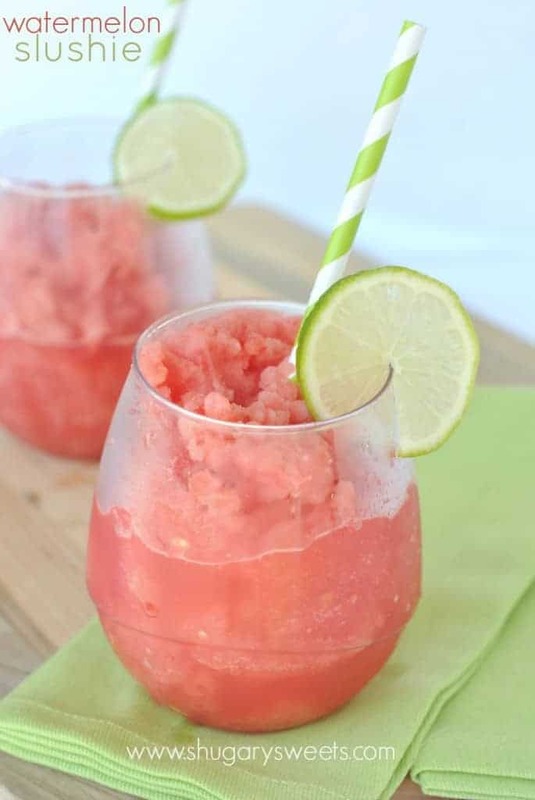 This watermelon slush is a great way to keep summer going. We have enjoyed a few very fresh and ripe watermelons. Did you know you can freeze watermelon? We lay our watermelon on a metal cookie sheet after cutting it into cubes (without the rind). Stick the tray in the freezer for an hour or so, then remove the frozen cubes and put them in a large ziploc freezer bag. These cubes are great for putting into your water or lemonade, instead of using ice cubes. Or, stick your frozen cubes into a blender with some lime juice and water and enjoy a fresh slushie! 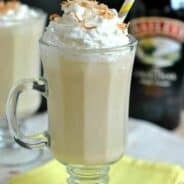 No sugar needed for this drink. You can also add a splash of vodka to enjoy this slushie in an adult beverage! 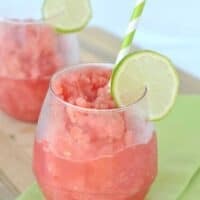 So, if you’re kids are headed back to school and you want to keep the summer vibe going just a little longer, surprise them with a watermelon slush! Cube watermelon and freeze on metal cookie sheet. Remove from cookie sheet and place in a ziploc freezer bag for storage in freezer. Remove 4 cups of watermelon cubes and place in blender. Add juice from 2 limes and about 1/2 cup water. Blend until desired consistency. Add more water if needed. Pour into two glasses and enjoy with a lime slice! Add shot of vodka to make into an adult beverage. I love a refreshing summer drink. 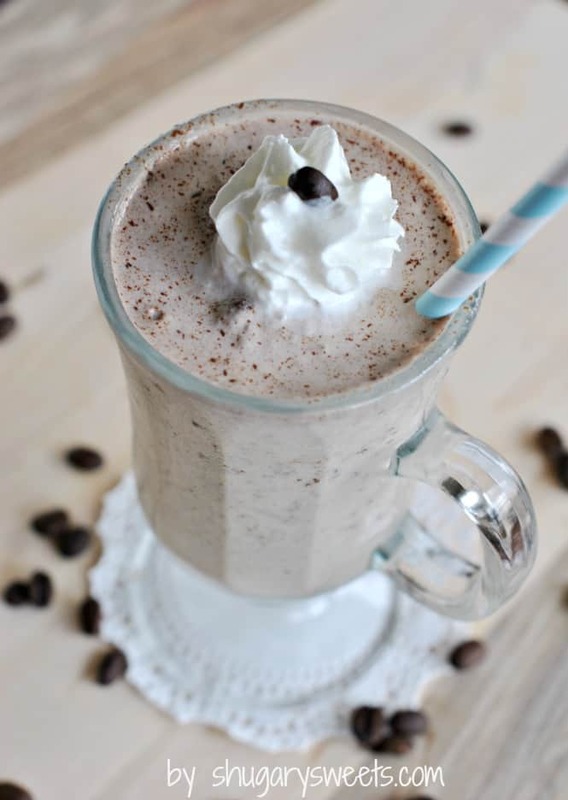 These Nutella Coffee Milkshakes are easy to whip up, and SO good! 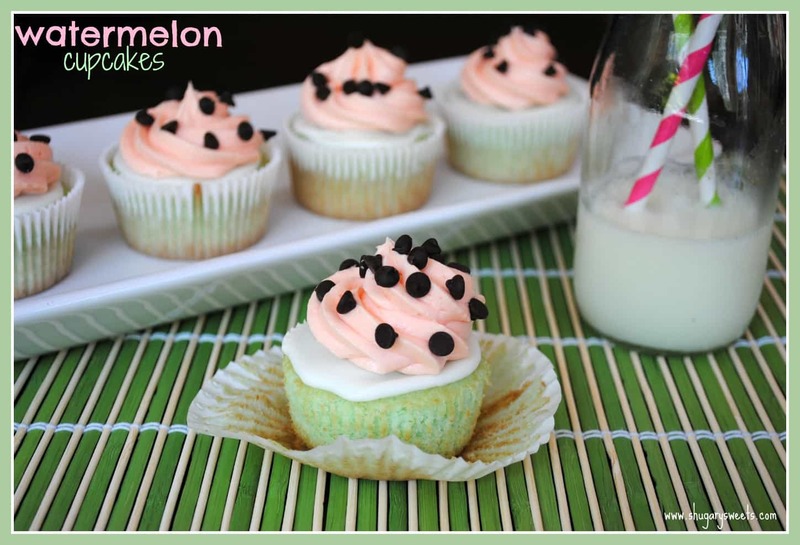 Want a fun watermelon treats? These cupcakes are not only adorable, but they taste amazing too! Want some more fun recipes like this? Check these out…. Watermelon is my absolute favorite way to celebrate summer…this is gorgeous! Thanks Cathy! To me, nothing says summer quite like watermelon! I have a bag full of frozen watermelon cubes in the freezer right now! 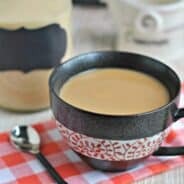 So making this this afternoon, perfect for refreshing and cooling off! What a great idea! I so need to do this soon! This is just terrific. I have never had this, but certainly plan on giving it a try. YUM. 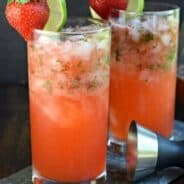 Yum simple and refreshing, I would love the slush on a hot Summer day! Those cupcakes are adorable too. Yummy! I love watermelon! Love your presentation! I have not had nearly enough watermelon this summer. And now it’s almost over! Must try this soon! This sounds so refreshing on a hot summer day. I love watermelon! Pinning! YUM! This looks so delightful and delicious!! This looks so fresh and easy! Love it! And I’ll all for prolonging summer as much as possible! MMM this sounds incredibly refreshing! I made these yesterday for Memorial Day with fresh squeezed lemon… Yum! Must try I also added extra ice, must try!!! Oooh, with lemon! Great idea! Pingback: Watermeloen-recepten: 9x frisheid in de zomer - Like & Love it!